My name is Lisa D. Dance, I’m Chair of the Board of Directors of C3 (The Creative Change Center). C3 is a volunteer run non-profit organization that focuses on creativity and innovation in the Richmond region. In my day job, I’m a Customer Experience and User Experience Designer and Founder of ServiceEase, were I help organizations improve customer experiences both online and offline. C3 focuses on creativity and innovation because we believe creativity improves the quality of life and economic vitality of Richmond Region. People are looking for new ways of thinking, tools or inspiration to be better in their personal or professional life; we share knowledge and ideas to instigate their creativity. We view creativity very broadly from artistic “creativity “to business innovation “creativity” so our programs are carefully layered to meet those different needs. C3’s vision is for every individual and organization with a creative idea to feel inspired and empowered to take action really speaks to me. Whether we are introducing new creative thinking methods or spotlighting a local individual or organization that is doing something innovative, I’m excited we are sharing knowledge with people be more creative or solve a problem. 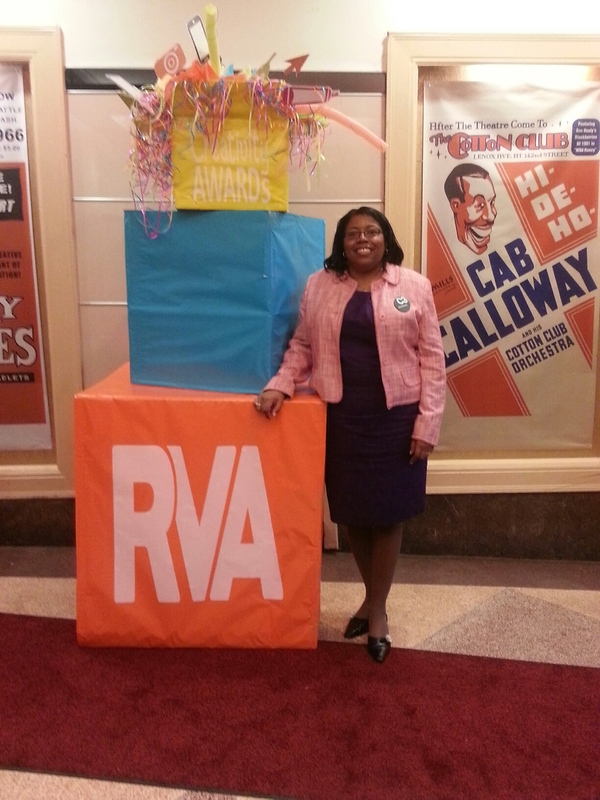 In May 2014, C3 launched our 1st RVA Creativity Awards to highlight and celebrate the vibrant creative community of the Greater Richmond Virginia (“RVA”) region. The community responded. We received 114 applications and over 150 people attended the awards program. This was a big accomplishment for C3 and we couldn’t have done it without a great group of volunteers. This is also a big milestone year for C3. On January 3, 2015, we celebrated C3’s 10th Birthday and, in March, we partnered with Professors Ken Kahn and Matt Woolman to launch the C3 Insights to Innovation (I2I) Certification program, a six week hands-on innovation program that teaches the CrossThink© methodology for developing new ideas and solving problems. This is an exciting week. On this Thursday, May 21, we are holding the 2015 RVA Creativity Awards at Bolling Haxall House. It’s a great event that highlights not just the eventual winners but also all of RVA as a vibrant creative community. Attendees will be able to meet the 20 finalists, find out more about their work, and vote for the People’s Choice Award. There will be other local talent: specially designed trophies by local artisans, emcees Richmond Comedy Coalition, locally sourced food and beverages, and a few other surprises. We encourage people to come out and enjoy a ceremony as creative as the people it celebrates! C3 regularly uses ConnectVA’s Events Calendar to help promote programs/events. In 2014, C3 partnered with ConnectVA on two great programs and continue to talk about ways we can collaborate again. I encourage everyone to visit www.c3richmond.org to learn more about C3 including our C3 ED program, a monthly lunchtime series, presented in collaboration with The YLD Lawyers for the Arts Committee of the Virginia Bar Association, which provides legal and professional advice for people in creative fields and talk20, a gathering of what’s cool, interesting, and creative in Richmond that only happens twice a year.